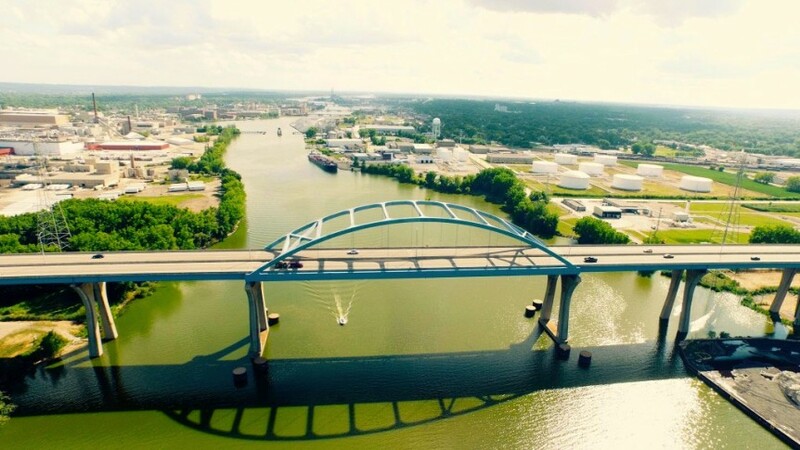 The Leo Frigo Memorial (Tower Drive) Bridge is a bridge on the north side of Green Bay, Wisconsin. It carries Interstate 43 over the Fox River just south of its mouth into Green Bay (Lake Michigan). 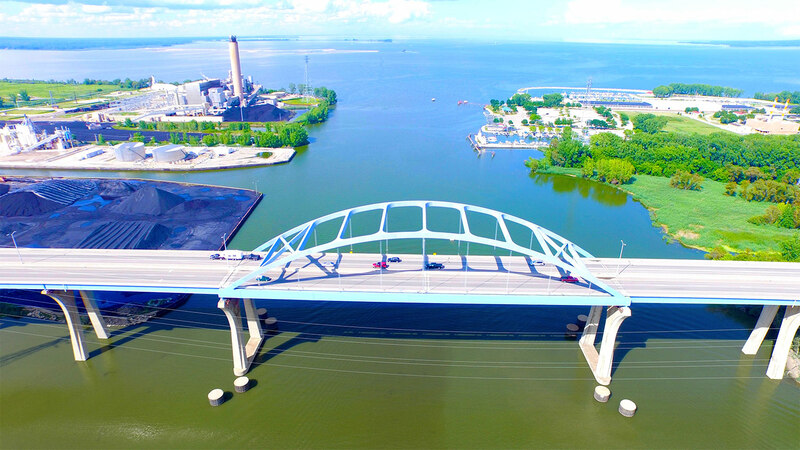 Formerly known as the Tower Drive Bridge, it was renamed in 2002 “in recognition and appreciation of Leo Frigo, a civic and philanthropic leader in the Green Bay area. The bridge opened to traffic in 1981. Because of the bridge’s height and slope, it is prone to being shut down during inclement weather. The bridge carried roughly 40,000 vehicles per day as of 2015.